Dechen still wonders why her father didn’t come looking for her. She wonders if he knew she was actually lost before he died. She remembers having an elder brother who she wishes to meet once. This true story begins with the death of Dechen’s mother. They were living in Dechencholing where her father was a gardener. After her mother died her father left little Dechen at a neighbor’s and left for Punakha with his new wife. She learned later that she was given away as babysitter. When her father didn’t return for a long time she ran away from her new home and started her journey towards Punakha to find her father, on foot. Seeing a nine-year-old little girl walking alone on the highway above Simtokha a car stopped. She told the person that her father was in Punakha and she was going there to look for him. The car gave her a ride till Khuruthang. Upon reaching there she didn’t know where to look for her father. She had thought Punakha would be a small place. Having knocked all the doors in Khuruthang town she finally reached a house where a lady took her in. The lady asked her to live there and work for her until she could find her father. She agreed but when she couldn’t find her father after many days she decided to head back to Thimphu. When she reached Thimphu she went to her maternal uncle’s place in Changzamtog. Her uncle had long moved away. The new tenant occupying the apartment took her in and persuaded her to live with them. With nowhere else to go she stayed with them hoping her father would come looking for her. Her new guardian soon took her to their village in Paro Shaba and made her babysit there. She grew up from a little girl into a young woman in the new place and became part of the family and the place. Though she wasn’t sent to school or treated equally at home she was happy to have found a place to sleep and feed. She would walk her master’s child to school and work in the field. Often she would take their vegetable produce and sell them by the roadside along with other farmers. After six years in Paro, in 2010 she finally met a woman, among the mothers who came to drop their children to school, who knew her parents. It was from her that Dechen learned her father had passed away recently. The woman helped her find the number of her uncle living in Thimphu. And from her phone she made a call. Her uncle asked her to come to Thimphu. She went home that day and shared the good news with her master’s family only to upset them. She expected them to pay her for all the services and let her go but it turned out that they didn’t want her to leave. Her master’s daughter had gone to Australia and they needed her hand in raising their grandchild. During her conversations with her uncle over the phone she told him about the situation, so he asked someone in Paro to help her get out of there and pay for her travel till Thimphu. Early one morning, before anyone was awake she ran away from home and went to her uncle’s connection and escaped to Thimphu. She found her uncle in Thimphu and met many of her relatives whom she never knew existed. But her brother was not among them. Nobody knew where her brother was. Her relatives were nice to her and she was on high demand because she was good at household chores and most importantly at babysitting. After a while she felt the need to work and earn for herself because she knew no one was going to pay her at the end. 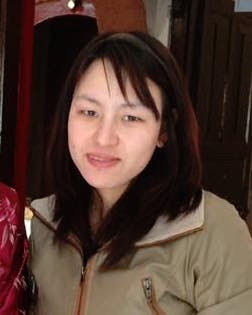 So she joined as a laborer at construction of Le Mariden hotel in Thimphu. That’s when her relationship with her relatives soured because she couldn’t be as useful to them now. At her worksite she met a man with whom she finally married and found a place to call her own. But life had more misery in store for her; she gave birth to a premature baby and lost it shortly. Her husband who now had a steady job took extraordinary leave to pursue degree in India. And to make ends meet Dechen came looking for a hotel job in my sister in-law’s small restaurant. That’s how I knew all about her. She was still recovering from her C- section surgery when she joined. It’s been two years since she joined the restaurant. Her husband returned with a degree but lost his old job. Dechen once asked me ‘Achu, people say if we suffer we will prosper, but why is my suffering never ending?” I couldn’t answer her. I’m still trying to overcome haunting images formed in my head. It’s almost a horror story and she is brave enough to have survived. I have so many questions; why did her father leave her? Why he never came looking r=for her? Did he once think of her? Where could her brother be? Why didn’t those families help her find her father? 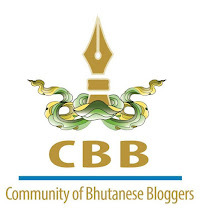 How could all these happen in Bhutan? Why is life so unfair to her? How could Dechen be so happy despite all these? And through this blog I would like to seek everyone’s help in finding her lost brother. His name is Sonam Tshering and he must be in his mid twenties now. He may be illiterate. Let us make at least one thing fair for her. If you wish to help her more, get in touch with me. I can share other details or even let you meet her personally. Her life story is so sad and her sufferings seem no ending too. I believe that in life, everything happens for a reason and every human being is using their karma to trade with each other. I hope someone could help her to recite prayers often so that she will be able to see the light at the end of her long dark tunnel. Over here, in my latest blog post, I also see more suffering people who are jobless, homeless and sleep hungrily on the streets. Who says developed countries have lesser problems? Really sad to know that suffering never ends.. I wish that she could meet her brother soon, who knows, her brother might be suffering too.. Om Ah hung...may all good things come to her. Thanks Passu. I remain inspired by your writing. I wish what Dechen wishes to come true. She has my prayers! I have heard of her story before from you, but reading it here still brings tears to my eyes. In fact, as I am typing this comment, I am choking. Hope Dechen finds her brother once wherever he is. She had undergone so much in life that she deserves good things ahead. Very sad......hope her husband is faith full on top. I wish both of them to succeed in life ahead. It's sad to know children going through such things. To Dechen whom I haven't met I pray that God bless you very soon. And to you passu sir you are really a great human being and pray you succeed. Dear Nado, I couldn't decode your email address. could you kindly write to my email passu@passudiary.com. I will send her details there. Reality really really bites...hope she finds her brother and get her happiness back! Sad to know that. Hope her husband be a faithful to her and have a successful life ahead. And we keep thinking we are the only one piece suffering in the world like anything during minor problems. I hope Dechen finds her brother soon and discover a beautiful life ahead. This is a very sad story. My prayers are with Dechen and her lost brother. God bless them. May he reunite them soon. It's really a sorry story -may God stretch his arm to help our fellow citizen Dechen. Aiee...it is so sad story not only for her but for all. I know the pich of pain we suffer when nobody to look or guide us. I appreciate Deachen for being so strong woman. Thank you sirand I look forward to read more as you mentioned. I thought i am the only one suffering but mine is nothing compared to her. And to know that, that happened here in Bhutan is unbelievable. I hope she find her happiness soon. I wish her Happiness sincerely. & Sir, You are doing a great job, Here & there, You are occupying many peoples' heart.